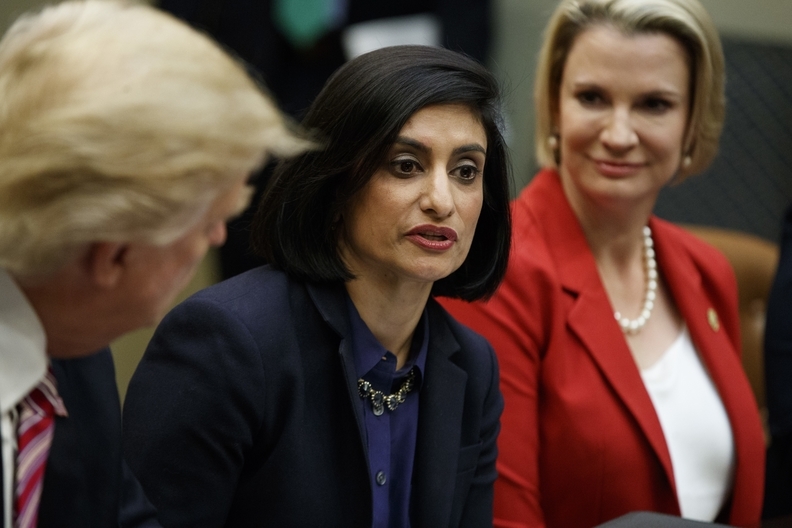 CMS Administrator Seema Verma on Tuesday promised rural health industry stakeholders that their needs are being heard, saying any new policy idea proposed to the agency must demonstrably impact rural healthcare. "We are bringing a rural health lens to all of CMS' programs and policies," Verma said to a crowd of rural providers and plans who are in Washington this week to lobby Capitol Hill lawmakers as part of the National Rural Health Association's Policy Institute. Verma said she will release the agency's overall rural health strategy this week, which is the result of two years of the CMS' Rural Health Council's analysis of how the government should help address the escalating financial issues faced by rural health providers — who disproportionately rely on Medicaid and Medicare and whose patients are disproportionately older and poorer. The nuts and bolts of the forthcoming strategy are technical and educational help from the government side to support implementation by private stakeholders. Verma promised technical help for providers when it comes to implementing new policies; expansion of telehealth and telemedicine; and the promise of "information" to help patients make decisions about their healthcare. The CMS will "leverage" stakeholders to improve healthcare for rural communities, she said. The agency's new blueprint comes as the number of rural hospitals operating with negative margins has gone up from 40% in 2017 to 44% this year, according to analysis from the Chartis Center for Rural Health. Since 2010, 83 rural hospitals have closed. And policies ranging from the ongoing Medicare sequester to the new 340B Medicare cuts implemented by the HHS as of Jan. 1 add about $300,000 in annual revenue losses to an average rural hospital, per Chartis data. Verma notably didn't mention the 340B debate spurred by the administration's Medicare cuts and currently raging on Capitol Hill as House GOP lawmakers gear up to release legislation to ratchet back the program. On the administration front, she largely focused on President Donald Trump's push to cut regulatory requirements, and noted she and the agency are looking to pare back reporting requirements and revise quality measurements. "We are looking at all the regulations and asking ourselves: What's the purpose?" Verma said. "Does it help us prevent fraud and abuse? Does it help patient care and safety and improve outcomes?" The burden of reporting requirements falls mostly on rural providers, Verma said. On opioids, Verma said the CMS is working on its own road map to link policies for Medicare, Medicaid and the Affordable Care Act exchanges to the government-side long-term plan to deal with the crisis she noted hits rural communities hardest.